Kinopicz American is centrally located just 5 minutes west of downtown Columbus. 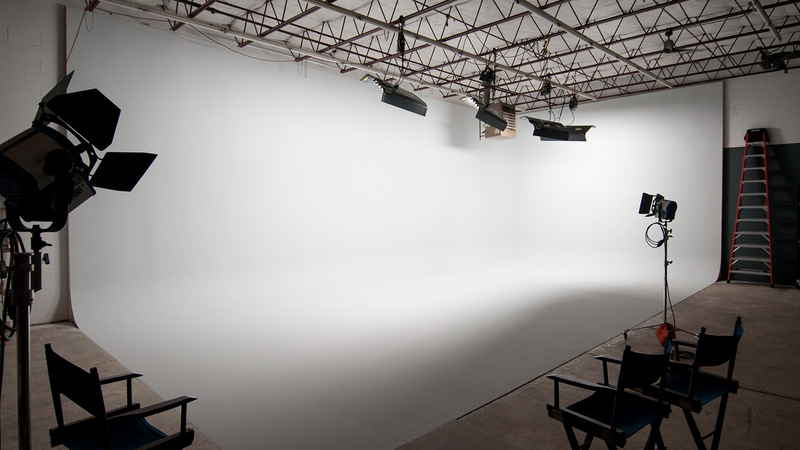 Our 5,000 sf studio features a 2,300 sf soundstage with a permanent two-wall cyclorama. The space is outfitted to support the needs of productions both big and small. 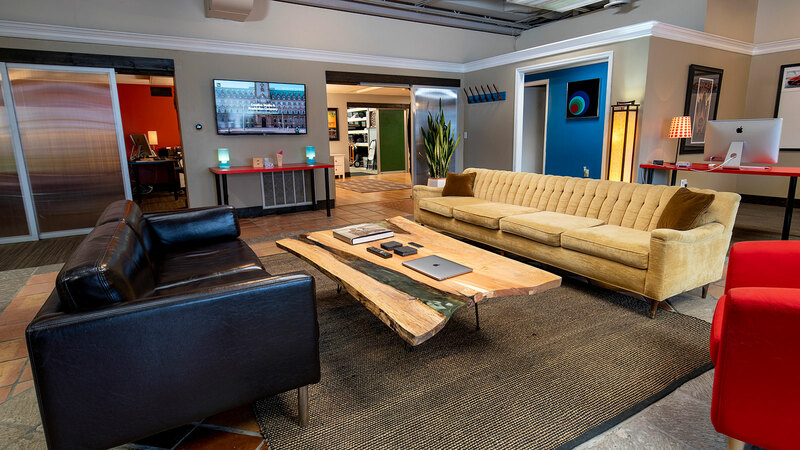 We are proud to have hosted productions with some of the most iconic networks from CBS to NBC to VOX; celebrity artists Ed Sheeran and Twenty One Pilots; and national brands including Abbott Labs, Bob Evans, DSW, and JCPenny. Click a marker to see more about that space. Use the studio rental form to tell us a bit about your requirements. We’ll typically respond within one business day. Soundstage shell and white cyclorama ready for your production. Soundstage shell with chroma-key setup for smooth keying. Additional fees apply. Production Name or Job No. 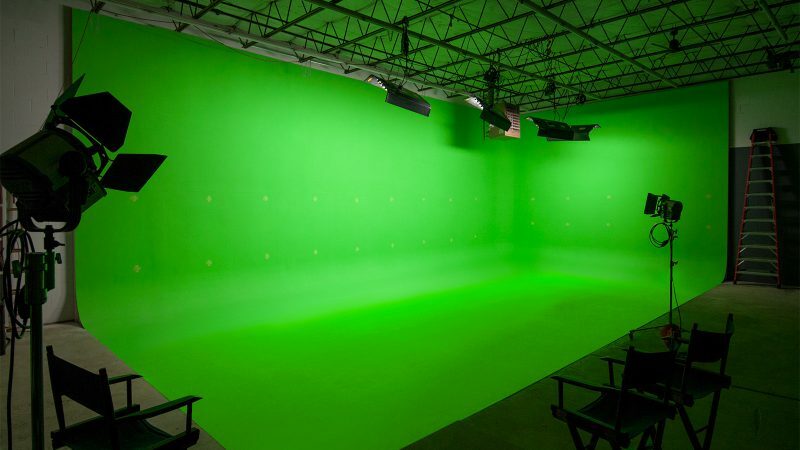 Our 53’ x 43’ soundstage includes a 41’ x 21’ cyclorama, 200 amps of power, floor drain for wet sets, and drive-in access for vehicles of all sizes. 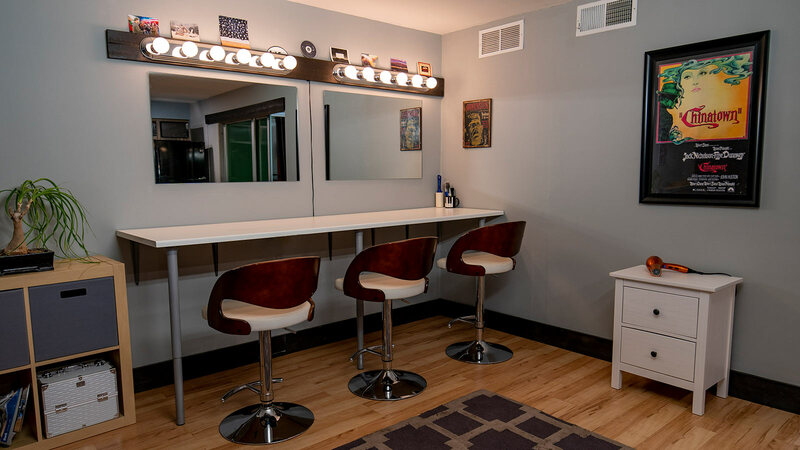 Makeup stations, with adjoining kitchenette, changing room and bathrooms. 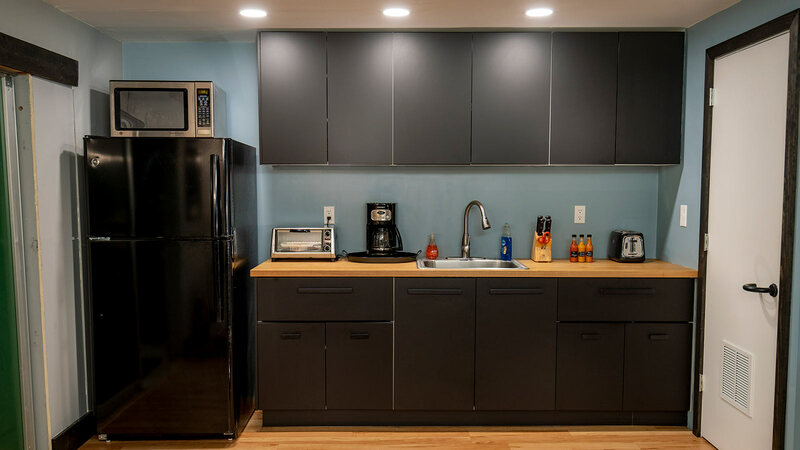 Kitchenette with standard appliances and storage for craft services. The front office flex space can serve as a green room, expanded wardrobe, meeting space, or simply a comfy place to eat lunch. Take a break from the set in our edit suite. 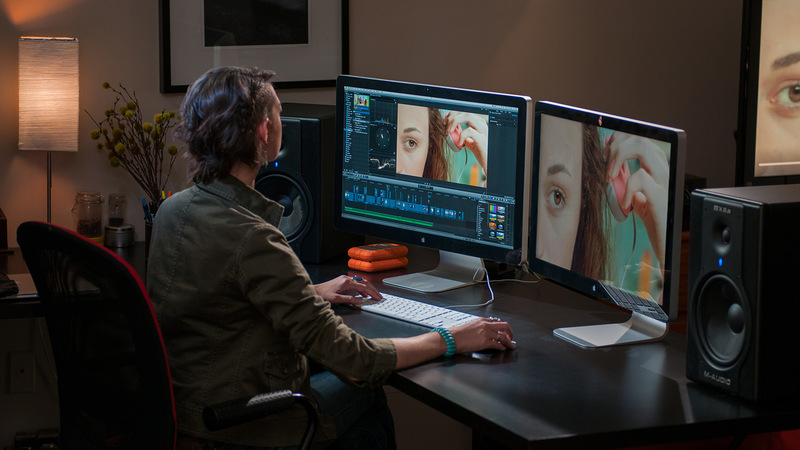 Review footage, compare color grades, or just kick back on the couch and watch a movie.